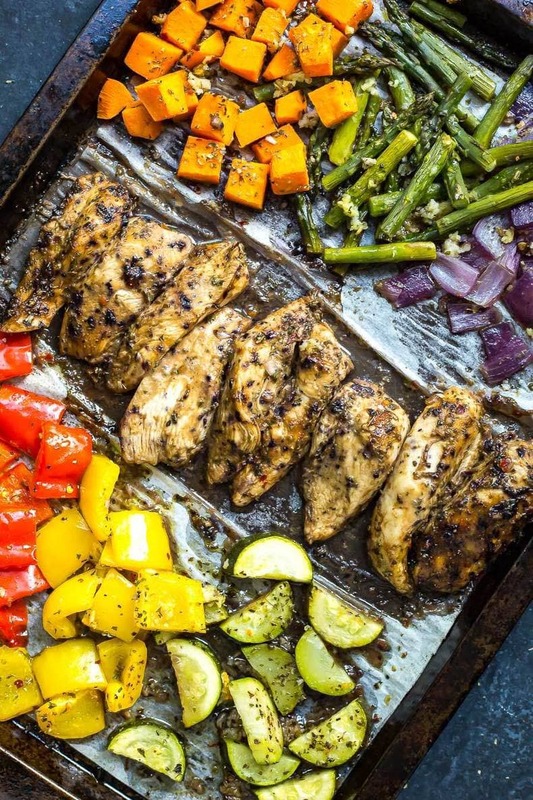 This Blueberry Balsamic Sheet Pan Chicken is a delicious, 30-minute dinner you can make in one pan! 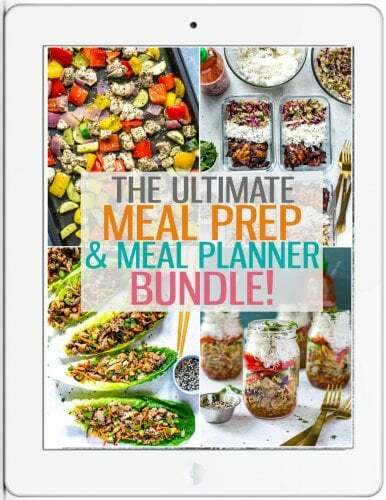 Say hello to leftovers all week with this meal! This post is sponsored by BC Blueberries – thanks for supporting the brands that help keep my blog up and running! 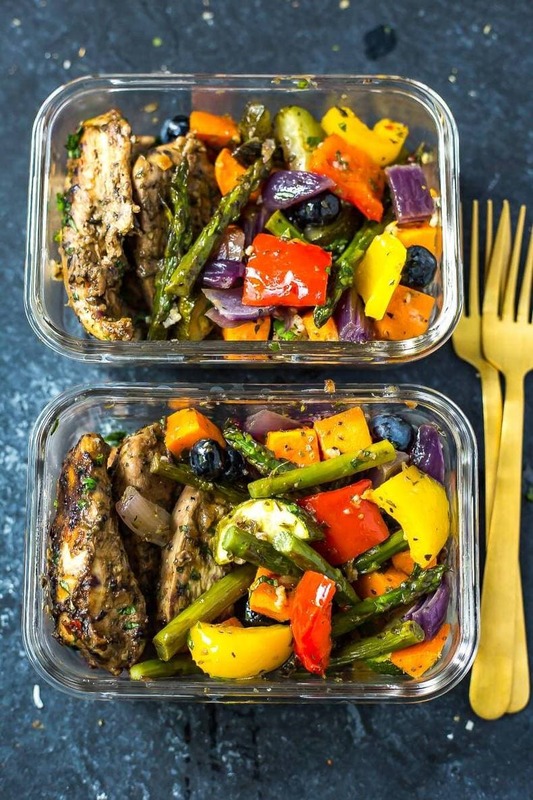 What else can I say about this Blueberry Balsamic Sheet Pan Chicken except for the fact that it's going to become a new staple in your weeknight routine? Say yes to fresh, plump, juicy Canadian blueberries (mid July to mid September is prime time for them so keep your eyes peeled now!) 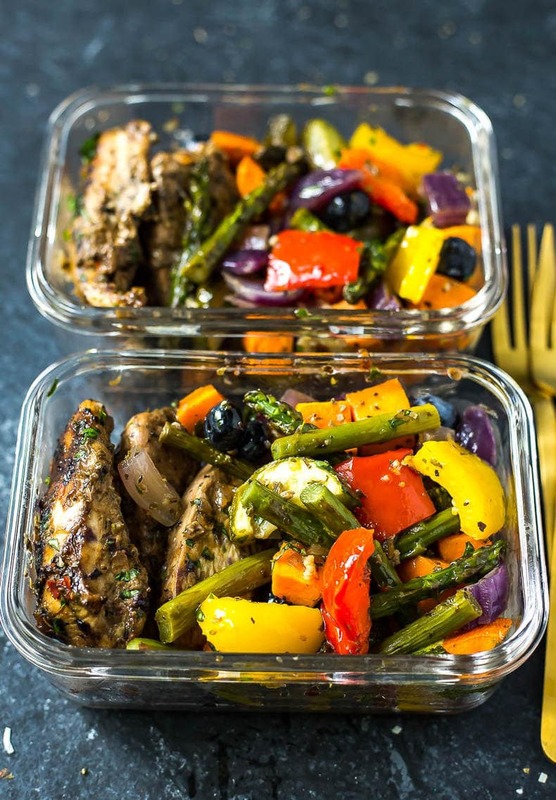 mixed in with a delectable balsamic chicken marinade, and veggies tossed in Italian seasoning for the quickest dinner you'll ever make. Did I mention all of this comes together in 30 minutes? 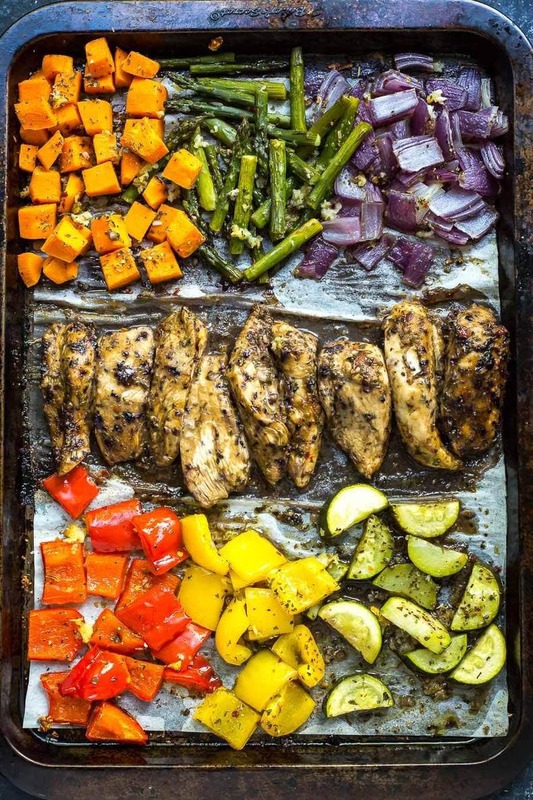 I've been on a major sheet pan dinner kick, mostly because summer has been crazy busy and I just don't have time to whip together a five star meal each night. I need to go with produce I already have on hand in the fridge, and I need whatever protein I'm having that night to cook quickly. Cutting chicken into smaller pieces before baking or grilling actually really reduces its cook time, and it allows more of the flavours in the marinade to come out. 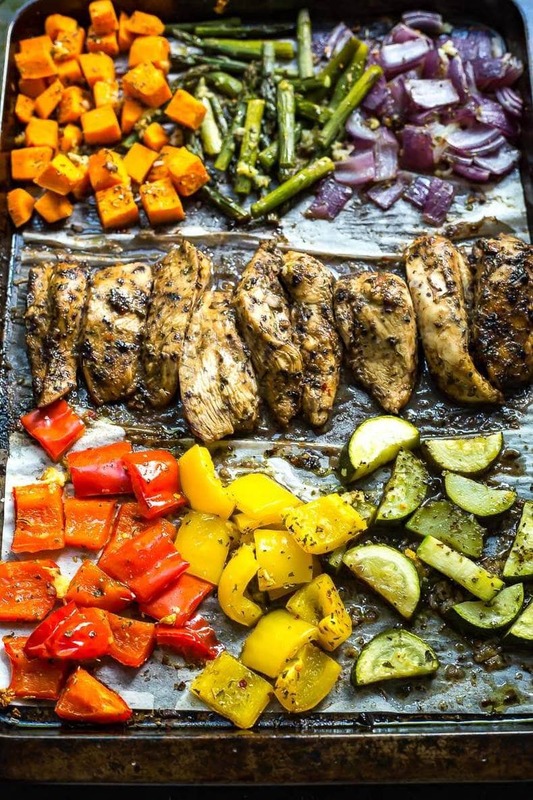 Cut your veggies into smaller pieces too and you can cut the cook time on this Blueberry Balsamic Sheet Pan Chicken dinner down to 20 minutes in the oven, leaving 10 minutes to cut and prep all the veggies. 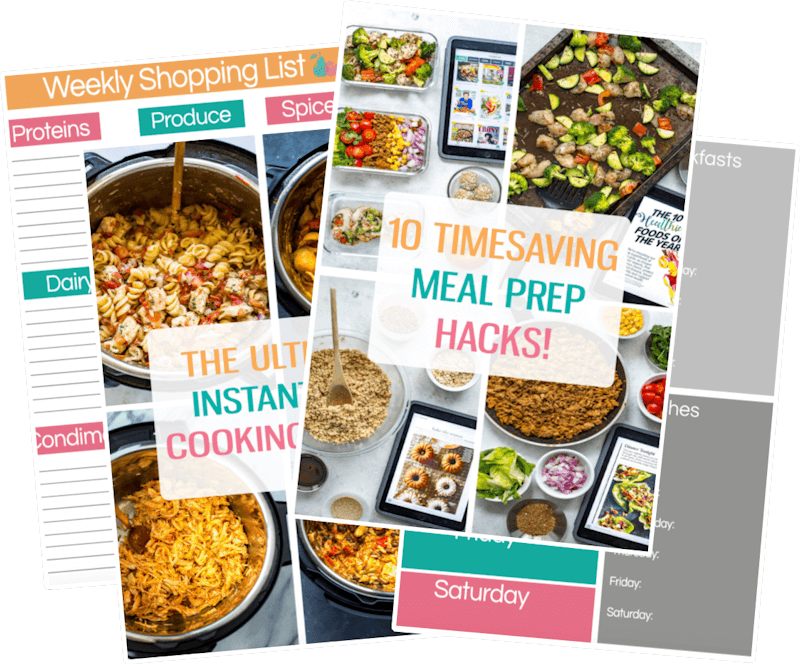 From there, it's all a matter of splitting up the ingredients and dividing them among meal prep bowls to take for lunch. 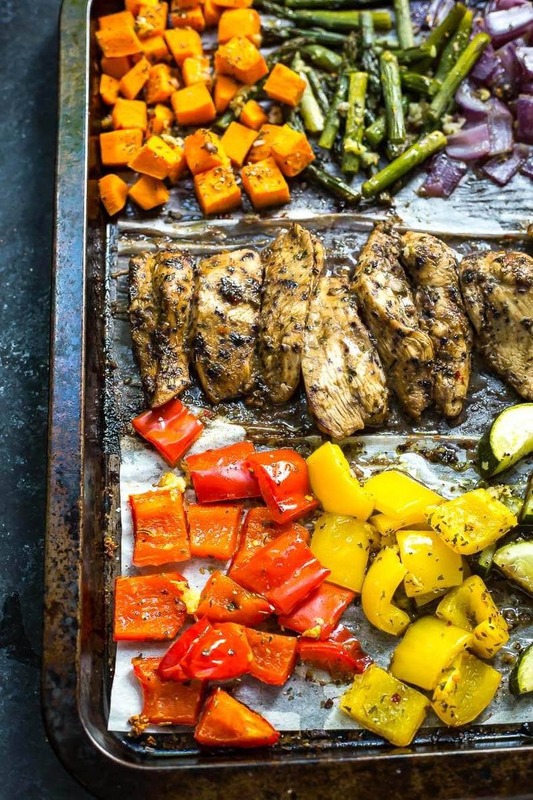 One pan, four lunches and half an hour out of your weekend? Yeah, I'd say the effort is more than worth it! One problem I typically have with meal prep of this kind though is finding new ways to switch it up, and sauce is typically a big part of jazzing up an ordinary sheet pan dinner. Being the creative person that I am in the kitchen, I wanted to advantage of seasonal produce to creative a delicious marinade that can also double as a salad dressing for the summer season! The marinade for this Blueberry Balsamic Sheet Pan Chicken is made with just a few simple ingredients: blueberries, balsamic vinegar, olive oil, Dijon mustard, maple syrup, salt & pepper. I used BC Blueberries – British Columbia is the largest highbush blueberry region in the world and the berries are sold across Canada during the summer months. So in other words, now's the perfect time to get out there and buy some. They're quite delicious in savoury recipes like this and act as a natural sweetener for marinades, sauces and salad dressings! 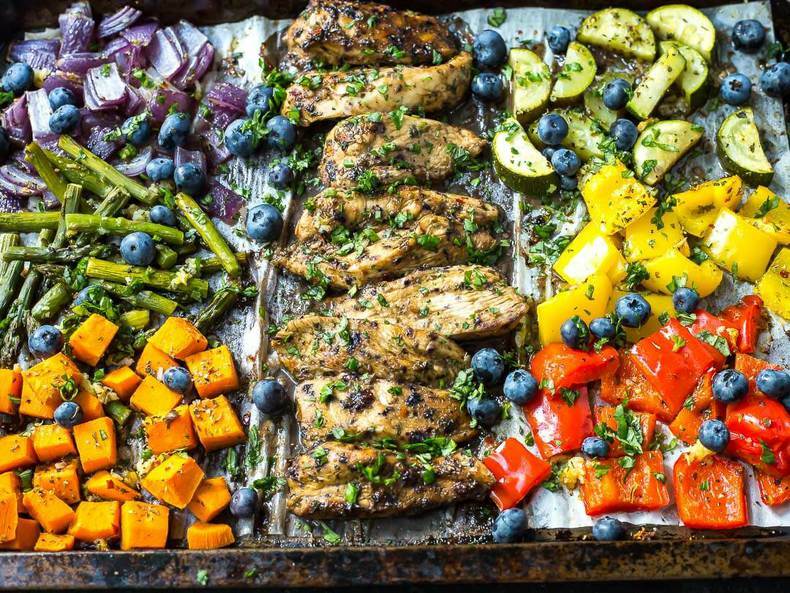 Will you be making this Blueberry Balsamic Sheet Pan Chicken? I think you're absolutely going to love this super simple dinner idea – and it always feels good to support Canadian growers along the way too! Preheat oven to 400 F. Add marinade ingredients to a food processor or Magic Bullet and blend until combined. Cut chicken into tender-like strips and marinate with blueberry balsamic sauce and 1/2 tbsp Italian seasoning. Set aside. Meanwhile, chop up veggies and toss with 1 tbsp olive oil and 1/2 tbsp Italian seasoning. Add to baking sheet, along with chicken. Bake for 15-20 minutes until chicken is fully cooked. Serve in meal prep bowls, garnish with fresh basil and enjoy! This sounds delicious, I will have to try it.